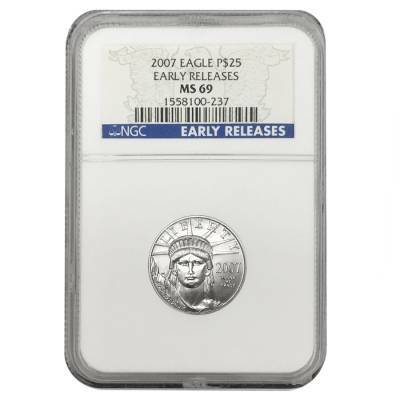 This 2007 1/4 oz $25 Platinum American Eagle NGC MS 69 Early Releases is an excellent coin for collectors and investors alike. This offers the platinum eagle in a near perfect Mint State 69 grade from NGC. The obverse features John Mercanti's design of the Statue of Liberty gazing confidently forward, a symbol of freedom and opportunity, wearing her seven-point crown with her right arm rising above her. Inscriptions include "LIBERTY" and the year of mintage. 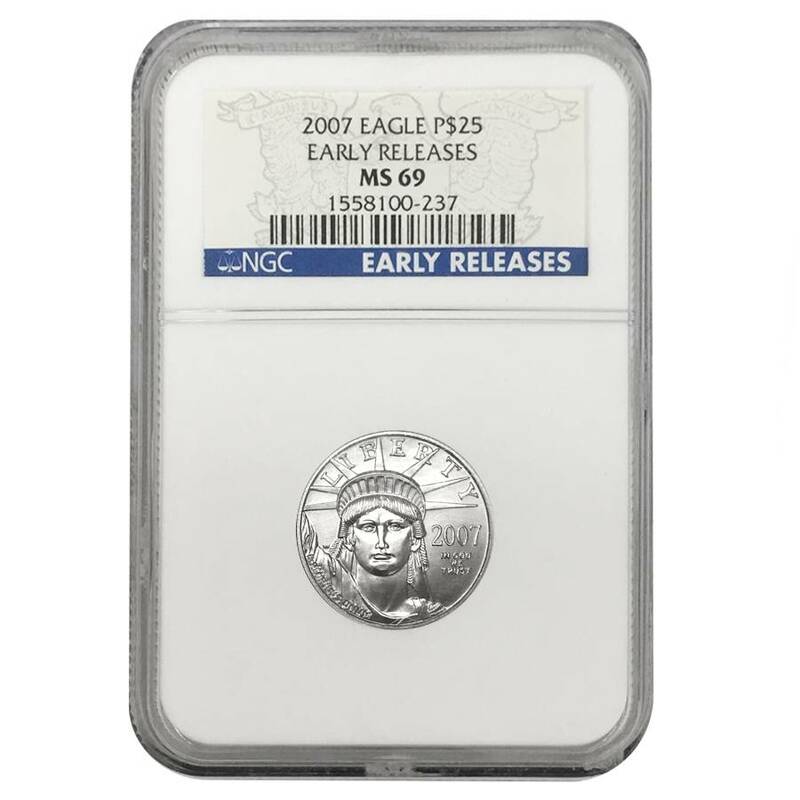 The reverse displays an eagle in flight with a rising sun in the background. 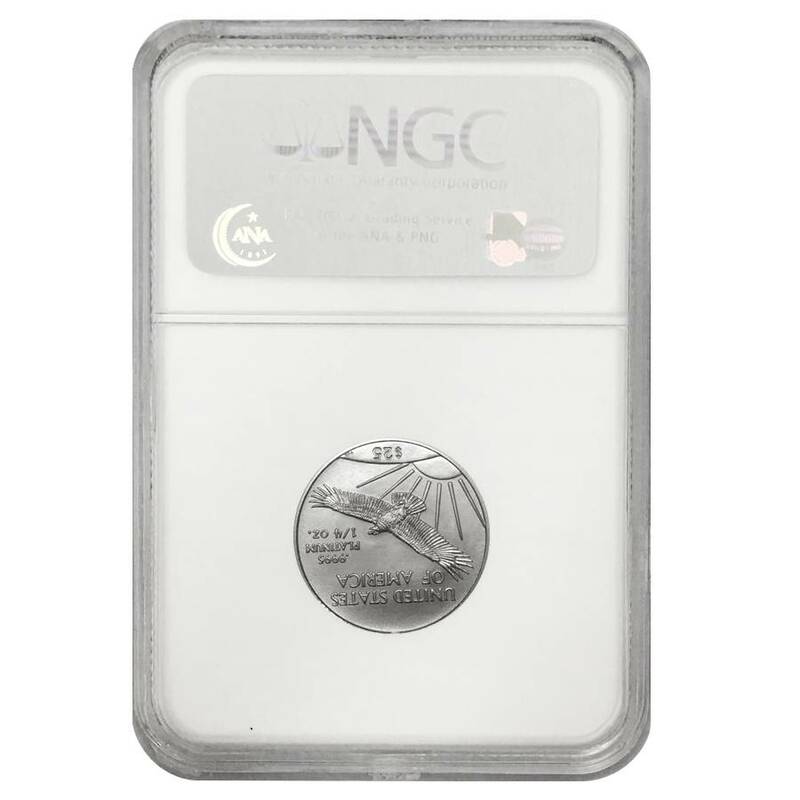 Inscriptions include "UNITED STATES OF AMERICA," along with the denomination, metal, weight, and purity. For every $1 spend, you will earn 1 Bullionaire Buck which is equivalent to $0.001 off a future purchase. 275 BB = $0.28.